Before I had my daughter I knew snaps on any nightgown was not going to be good. I am sure in haze of not sleeping I would become very frustrated at changing a diaper so I registered for the elastic bottom layettes. It turns out I didn’t really use these much either because at first they were so big on my daughter and then she would have one leg hanging out or get tangled around in it. So I thought since the top of the layette still fit her that it would be a good time to repurpose. Here is the how-to using the measurements I used. You should measure your child for a proper fit. 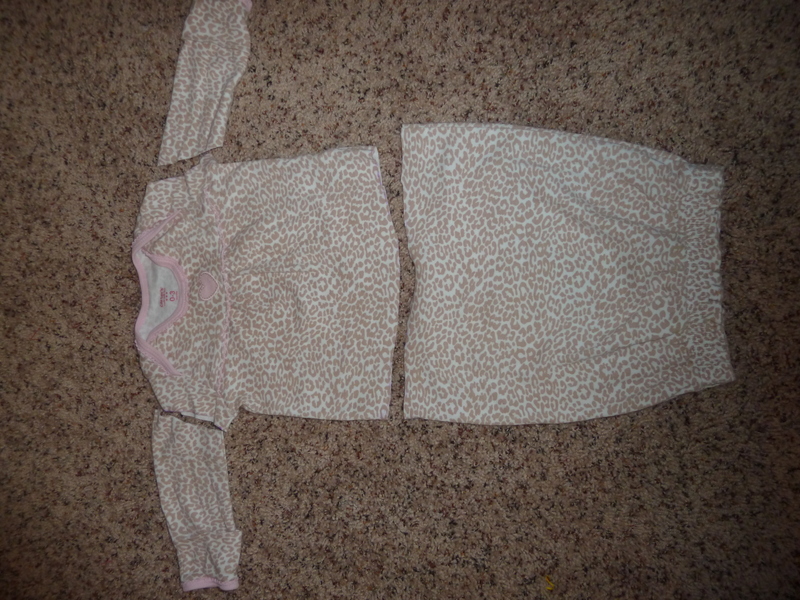 Ok so I began with this layette that I think my daughter wore a handful of times. I first put the layette on her and measured where her diaper line hit on the layette and marked it with a erasable marking pen. I did the same markings on the arms where I want to cut them off. Keep these extra pieces if you want the complete outfit. Cut at your markings and you should have 4 separate pieces. Ok you are ready to sew and make a super cute dress for your darling little one. 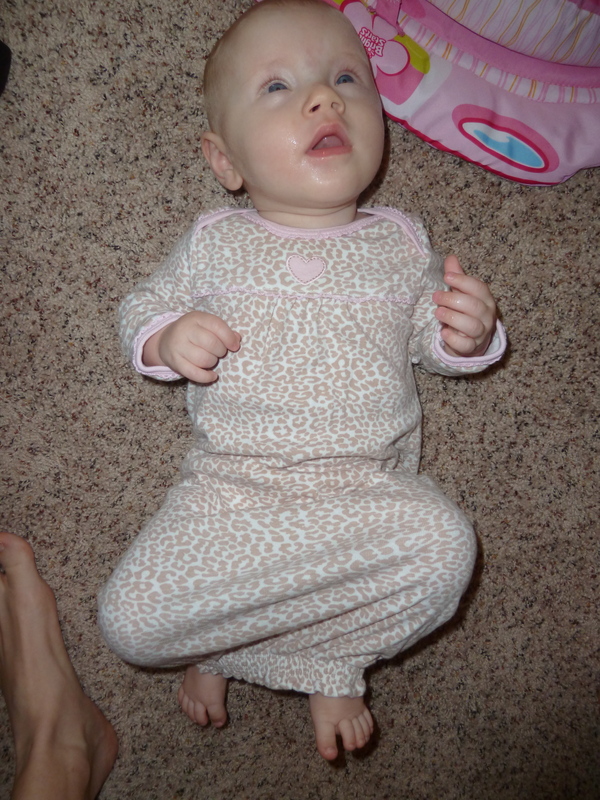 This layette was made of 100% cotton so try not to pull too much when you sew. Measure your rick rack around the arm hole and cut. Be sure to leave a little extra so you can fold down your end. 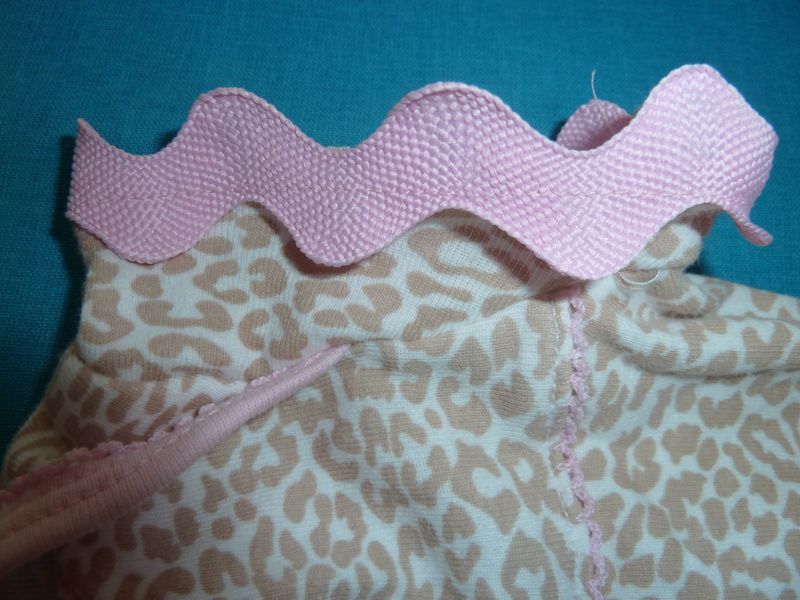 I even sergered the ends or use zigzag stich. Rick rack will fray bad. I think maybe some no fray solution might help but not sure how that works when washed. Pin your rick rack to the right side of the gown matching the edge of the cut armhole to the lowest edge of the rick rack. Make sure to fold your end over to meet underneath the arm hole. Sew. 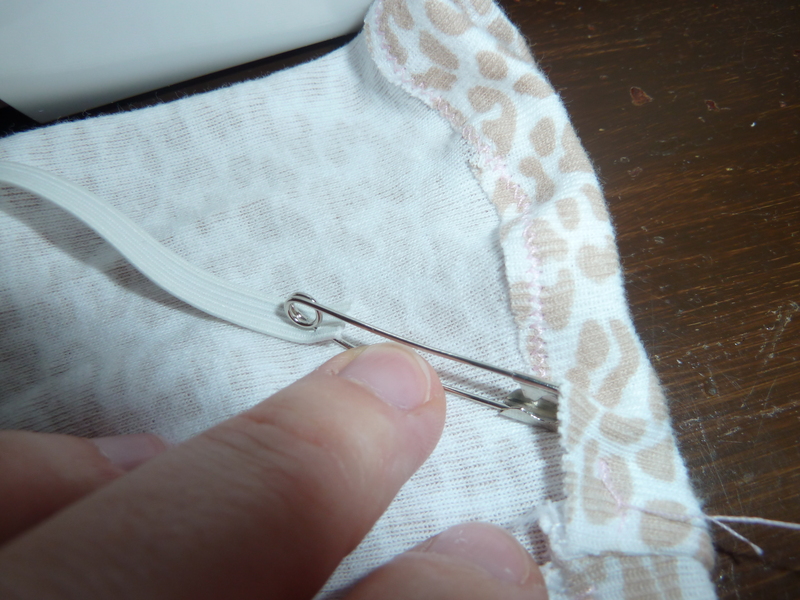 Flip your rick rack under and top stitch. UPDATE: After I was done with the garment I decided to go back and add a second line of top stitch to hold the rick rack down. Serge the long end of the contrasting fabric. 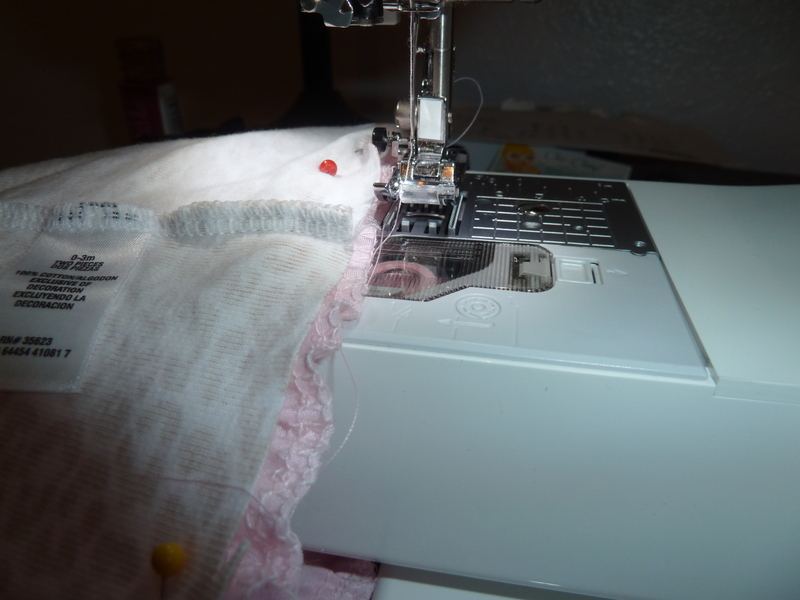 If you don’t have a serger then you can just zigzag but not necessary. 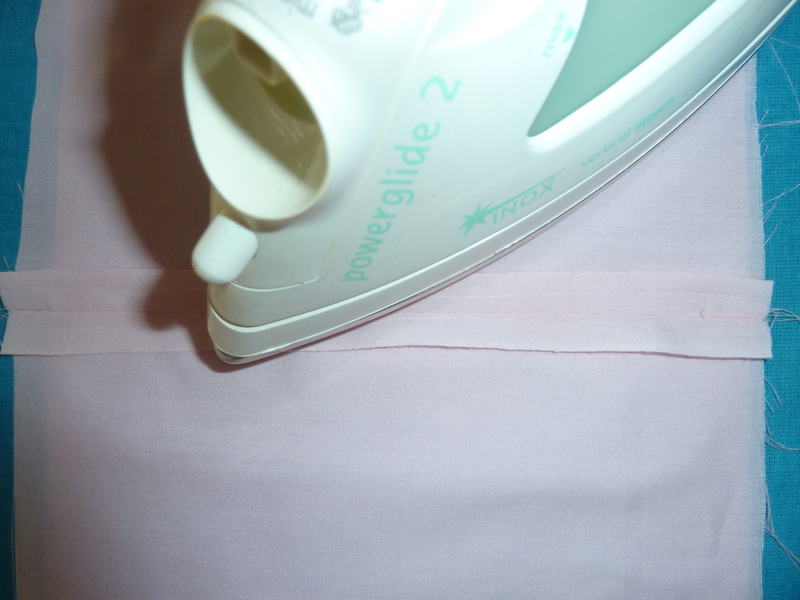 Next sew the short edges of your contrasting fabric together to make a continuous piece of fabric for the skirt. Next is gathering the tulle. I wasn’t sure if this was going to work and I don’t think I will be signing up to gather a lot of tulle for dance costumes in the future but here is how I did it. 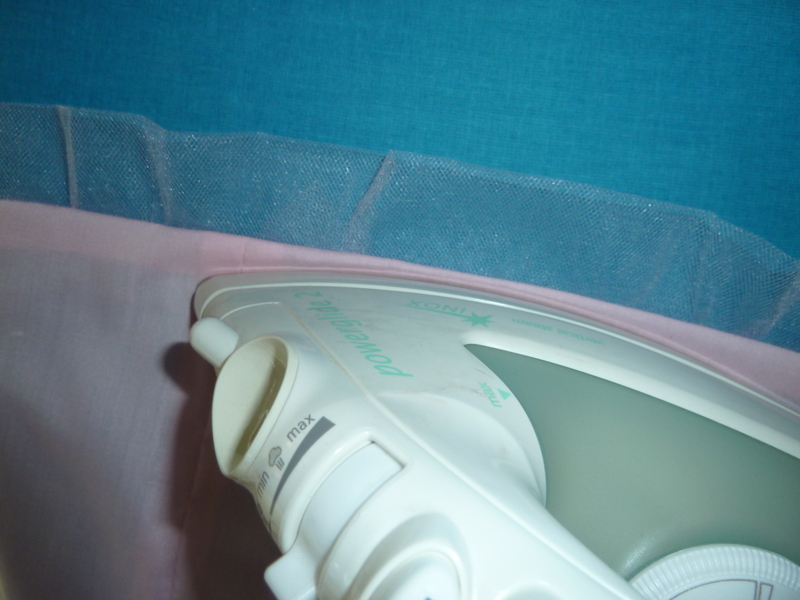 Tulle can get stuck in your needle and make a mess so I put a piece of white tissue paper on top and bottom of the tulle and sewed using the longest stitch on my machine. Be sure to leave yourself a tail of thread to pull. 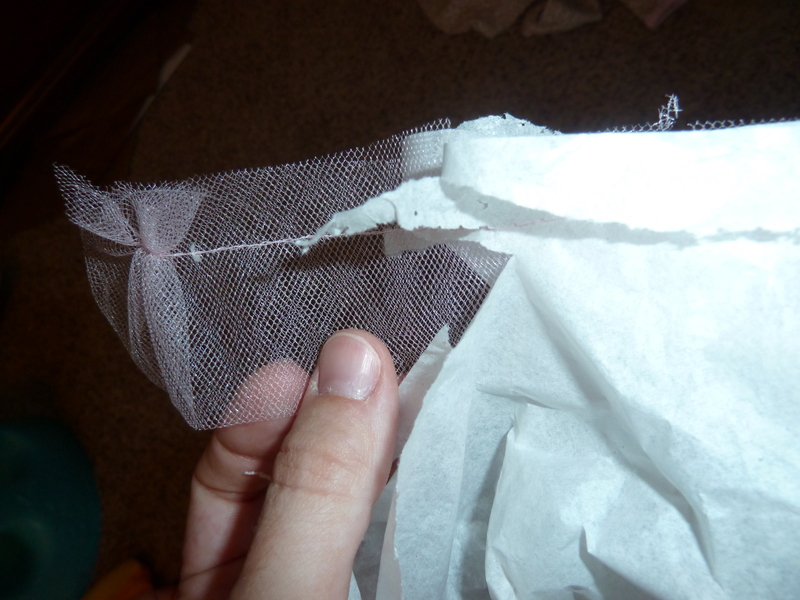 Then pull the tissue off the tulle. This is a tedious process so if you find an easier way please let me know! Gather your tulle by pulling one of the strings. 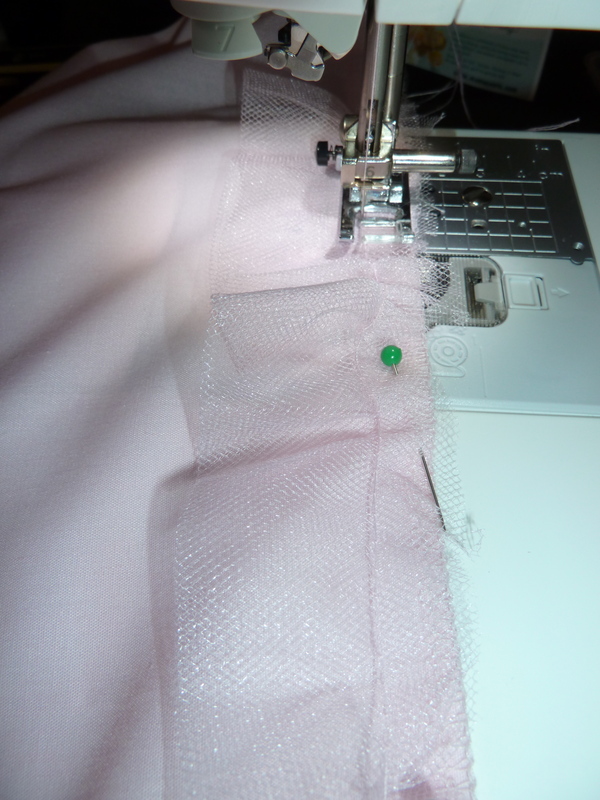 Next sew your tulle onto the right side of the skirt. 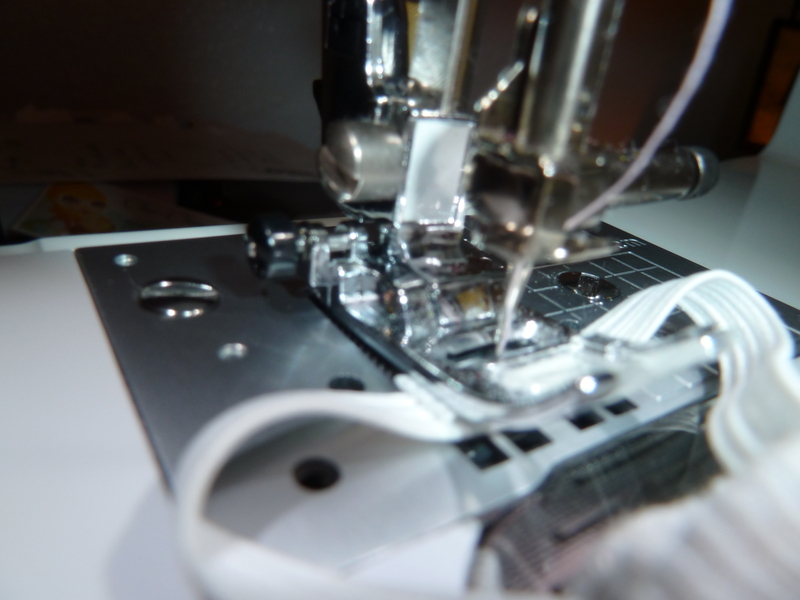 Turn under, press and top stitch. I didn’t have a problem top stitching with the tulle in my machine. Next you will need to turn the top of the layette inside out and shove the skirt (tulle end toward the neck) into the layette so the raw edges meet. Right sides will be together. Sew those two together. 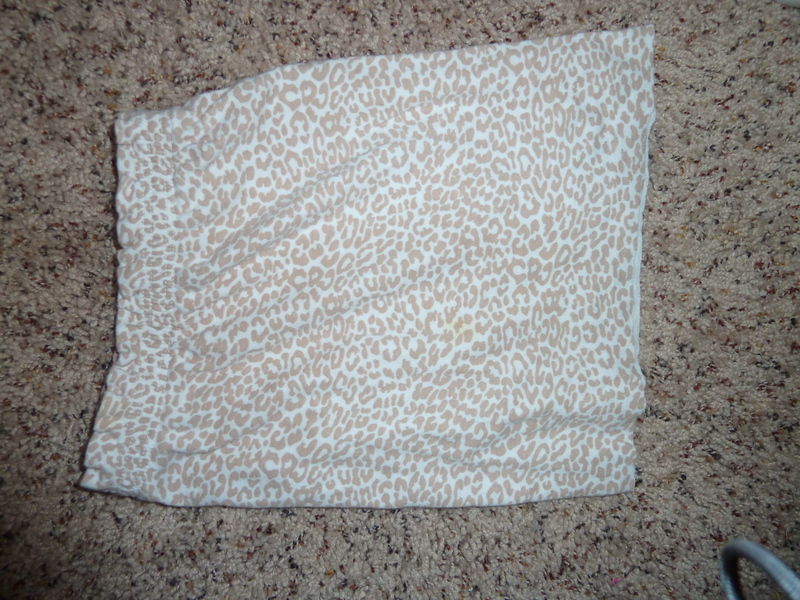 Press and you have a super cute re-purposed layette! 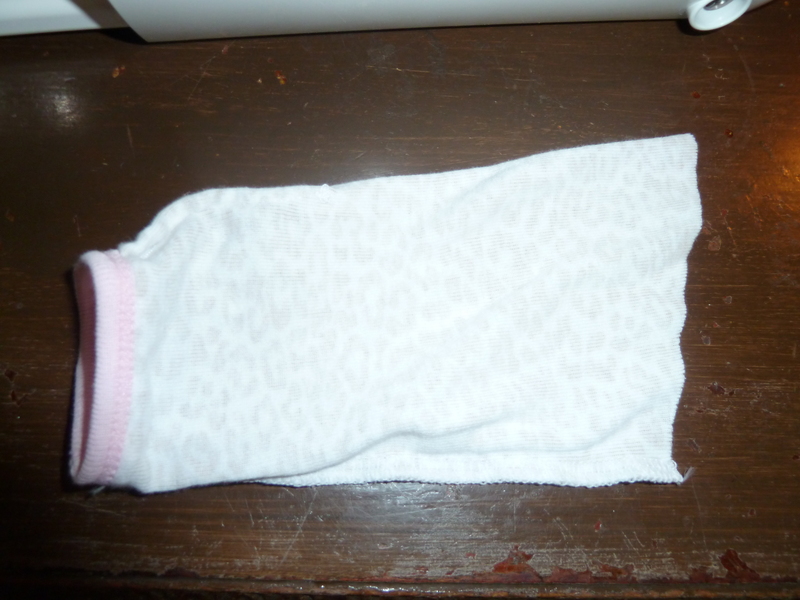 Now your cute baby will need some leg warmers that were once the sleeves. Fold down the raw edge for the 1/4 inch elastic. I measured my baby and 7 inches worked for her legs. Check your sweet nugget for an accurate fit depending on how high you want them to come up on the leg. Thread the elastic, sew the ends together and close opening of the leg warmer. Done! 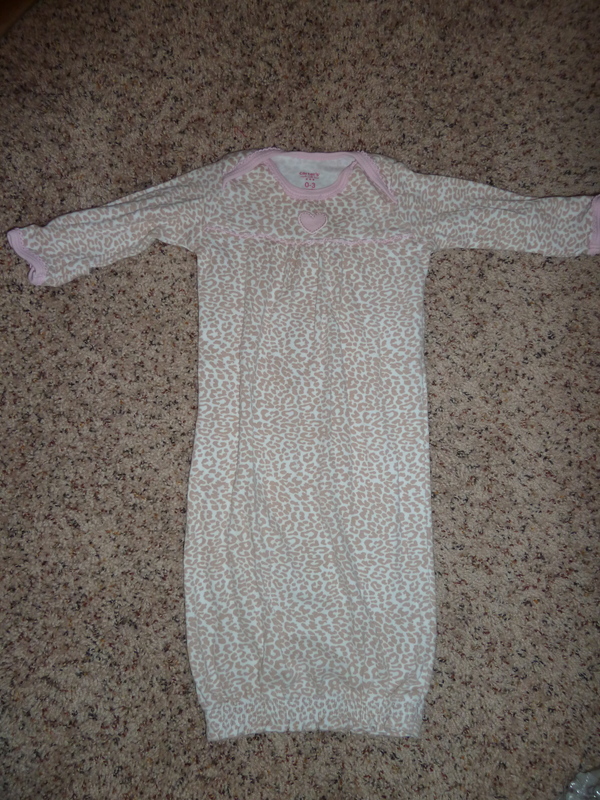 But wait we still have the bottom half of the layette. Let’s make a diaper cover. Use the elastic as the waist. Cut some leg holes. Just eyeball this. 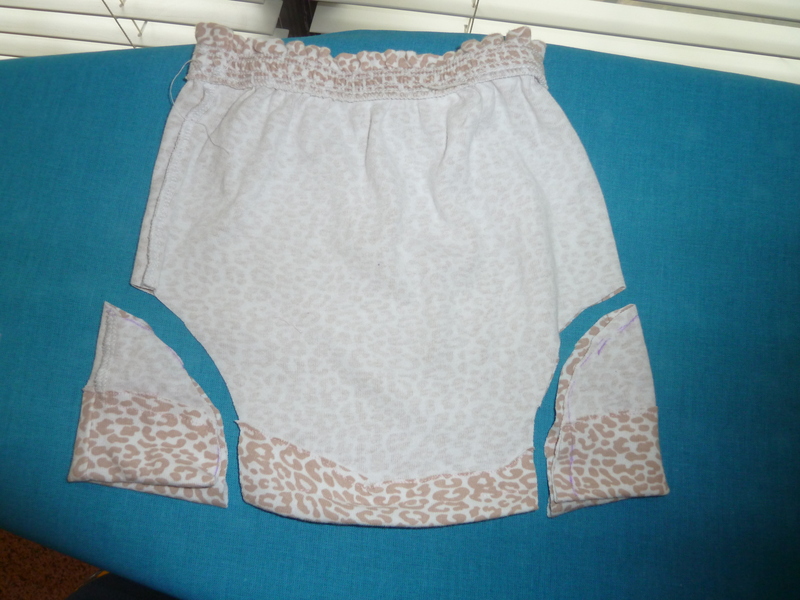 I turned my seams under and sewed the leg holes and the crotch. 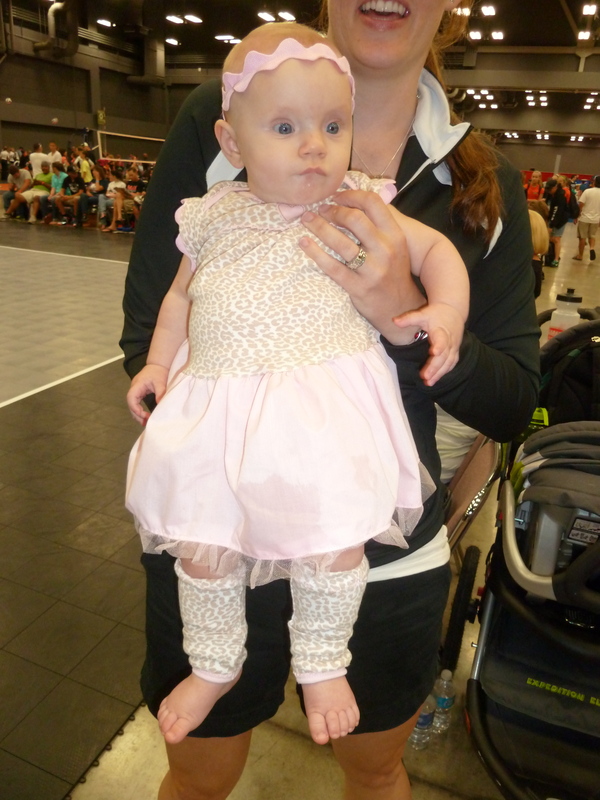 Now you could use elastic thread and maybe even put snaps on it but no one else was going to see the diaper cover under her dress so I thought this worked for me and we had to get to a volleyball tournament! Get lots of ooohhh and ahhh from everyone around. My volleyball team played this weekend so the leg warmers came in handy in the cold convention center! Enjoy making a new outfit out of something used! 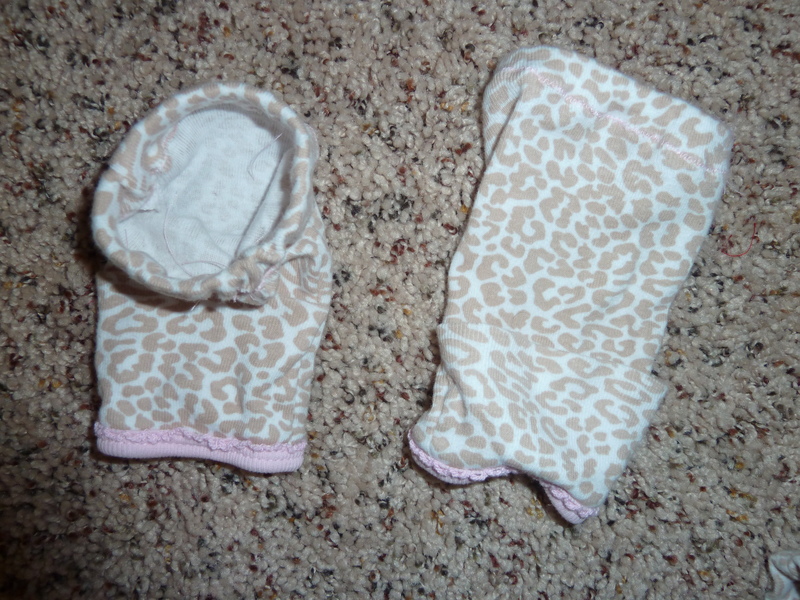 Posted in Re-Purpose, Tutorials and tagged layette, repurpose, repurposed baby gown, repurposed layette. Bookmark the permalink.